“Es War Einmal”, German for “Once upon a Time” is the theme of a new series of fun watches from Swatch. The graphics on the watches are curious, interesting, provocative. The emphasis here is on fun, and to connect with your inner child…as Christmas is just tomorrow! The first set we had a quick look on is based on Alice in Wonderland. 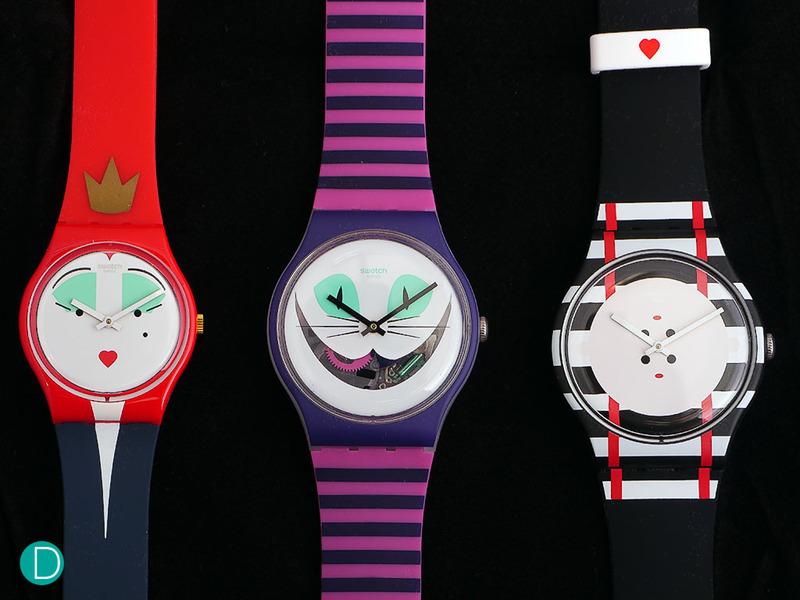 Swatch Es War Einmal collection of Alice in Wonderland. From left, the Queen of Hearts, The Cheshire cat and Double Me. Shown above, the WONDERQUEEN (GR165), DOUBLE ME (SUOB129) and CAT ME UP (SUOW125) is quirky but brilliant graphics to depict the essence of these magical Wonderland characters. Story time continues with inside stories on an iconic bat in FLAGGERMAUS (SUOB130)…Batman, are you there? 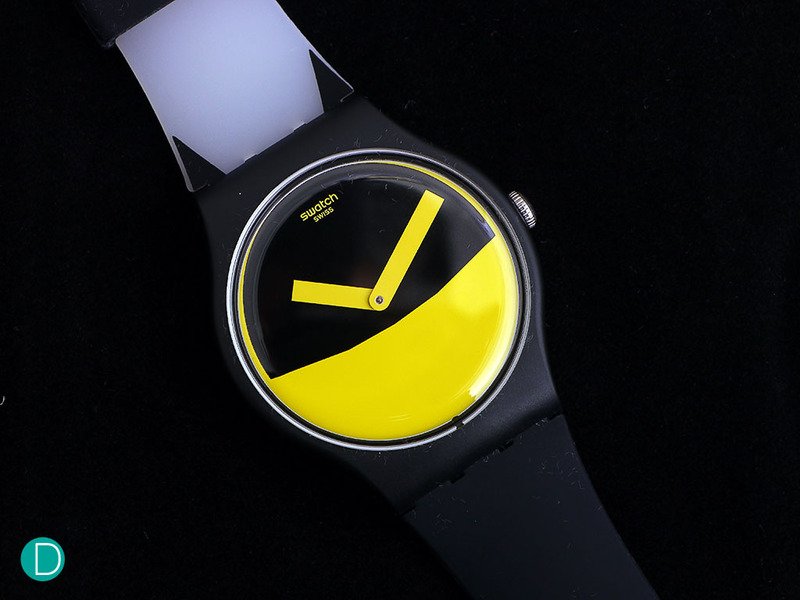 Swatch Batman…quirky use of the bat ears as case extensions. And this author’s personal favourite: Dracula, a vampire whose fangs seem to have plans at midnight courtesy of DRA-COOL (GB294). Swatch Dracula. Minimalist design, but clever use of the graphics to suggest Count Dracula’s fangs, and the blood red seconds hands. 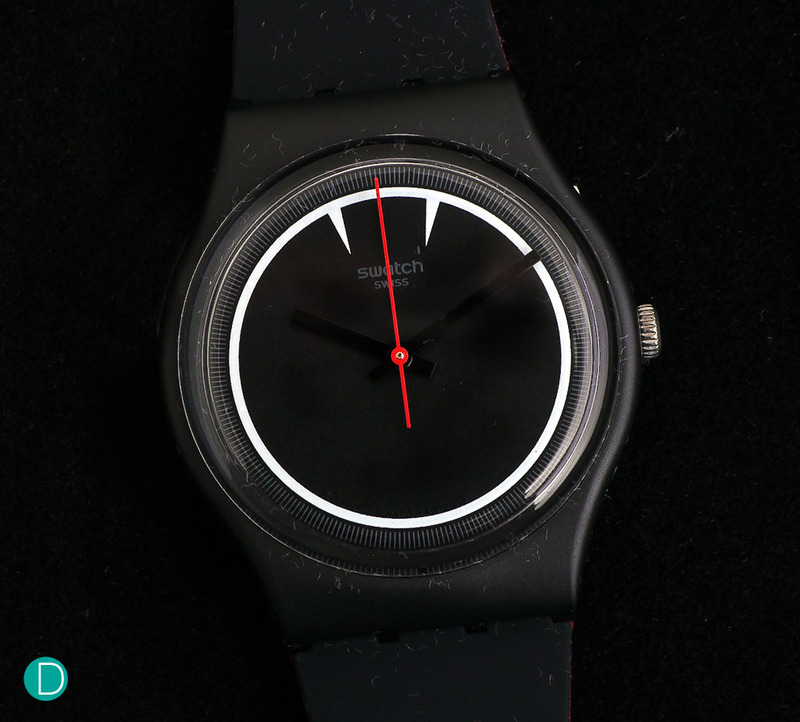 The hour and minute hands are black and blends into the black dial in the photograph, but in real life, there is sufficient contrast to read easily in good light. Retail Price: Starting at S$69 to S$103. Have fun! And a very Blessed Christmas to all!